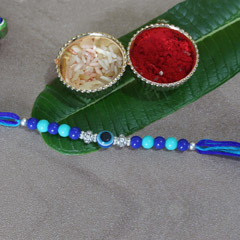 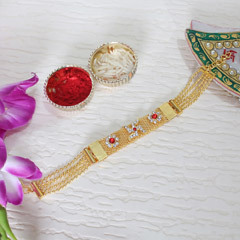 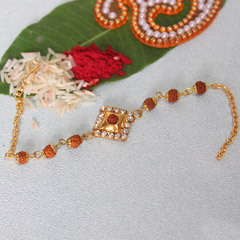 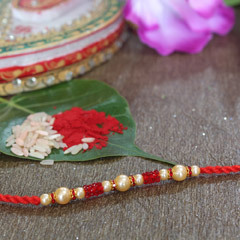 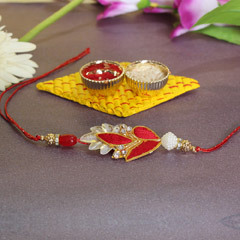 With great elegance if you wish to get your brother’s wrist adorned on the day of Raksha Bandhan, here we offer you this exclusive Rakhi choice. 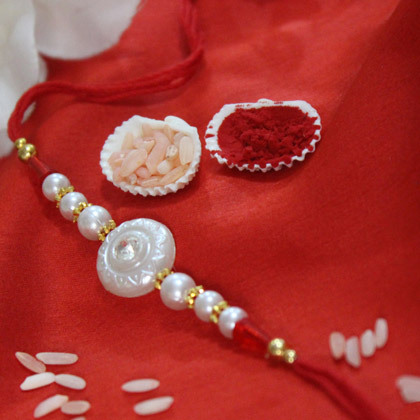 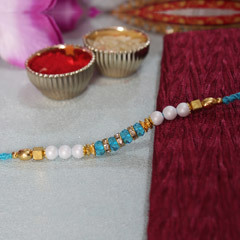 It’s a beautiful white pearl Rakhi with little golden beads everywhere. 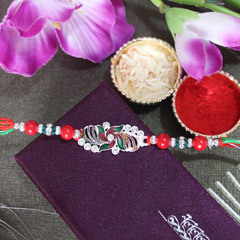 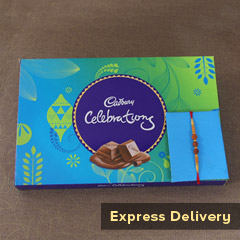 You can find it perfect for dolling up brother’s writ and strengthening the affectionate bond with him on Raksha Bandhan 2018.